Indian Vanity Case: Mascara Toner, Anyone? 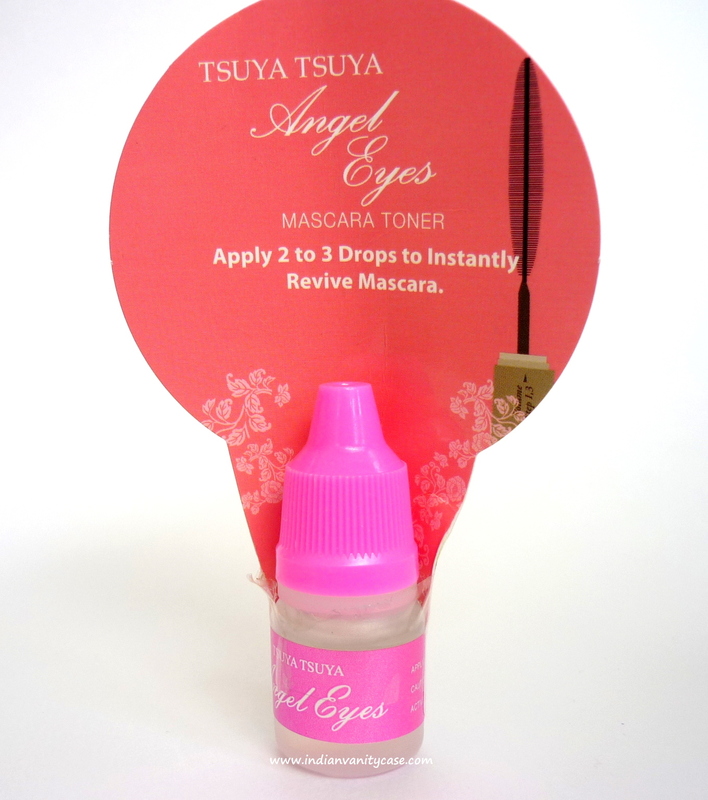 Meet Tsuya Tsuya Angel Eyes Mascara Toner. What? Yes, you heard right. Mascara Toner. It can revive dead mascaras. Leave it to the Koreans to come up with the most interesting & handy products! Now, some may think reviving dried mascara is unhygienic, but this little thing can come in handy with clumpy mascaras too. I used it with my Rimmel Glam Eyes Mascara which I never got to use properly, coz it was already dry since the day I bought it. 3 drops of this and it worked! The bottle is like that of eye drops with a nozzle, and the consistency of the the toner is like eye drops too. Hainnn???? These beauty products from Korea really have some geniuses working for them.. Awesome! It seems like a much more sanitary and better alternative to watering down your mascara. I wonder if you could use (new, obviously) rewetting drops or eyedrops to do the same thing. Wow.. Me loving .. Me want. 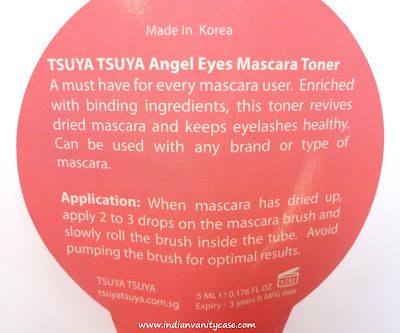 ooo...thats awesome..savior for all mascaras !! Heh heh! This one sounds so interesting. I've never seen anything like this. And it's so affordable too! Hmmm, don't know what happened to my comment. I mentioned: it's an interesting product and it's so affordable too!